Nancy Simpson Owen has won 12 national medals in varying NASTAR (NAtional STAndard Race) divisions. Nancy Simpson Owen was a freshman in high school when a poster caught her eye. More than 45 years later, she can't really explain why the scene of a man skiing down a mountain made her stop and stare. Her family didn't ski, she'd never tried it and she was a flatlander living near Chicago. Yet, it spoke to her. "I thought, 'I want to do that,' " she recalls. "I had no idea if I was going to like it." She soon joined a ski club and started going on weekend trips to resorts in Wisconsin. She learned to slide down slopes like the guy in the poster. She wasn't necessarily a good skier, but she loved it. After growing up in a house where she says her four brothers seemed to have all the fun -- playing sports and riding go-karts -- while she and her sister helped around the house, Owen had found an adventure of her own. Now 61, Owen and skiing have had a long-term relationship. Sometimes, when she was raising her kids and juggling too many responsibilities, her skis didn't get much action. But for most of the past decade -- on what she playfully calls "the backside" of her life -- skiing is playing a leading role in an active schedule that consists of mountain biking, road cycling, kayaking, rollerblading and year-round fitness training (including the use of stair-step and ski machines at home). Owen, who lives in Wausau, Wisconsin, near the Granite Peak Ski Area, is still working full time, at the warehouse for FootLocker's corporate headquarters. But her kids are now grown, and on weekends, nights and any time off she gets during snow season, she's on the slopes. 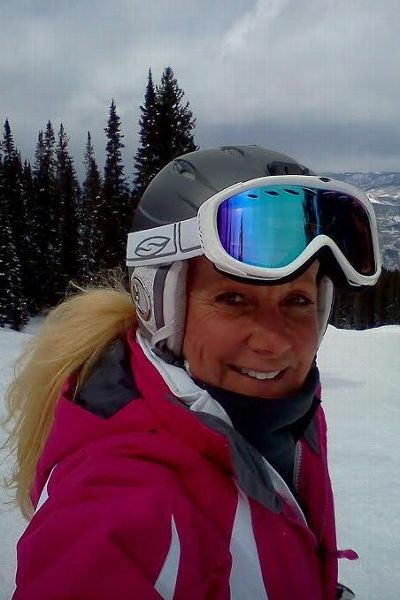 Since 2010, she's been an avid and successful competitor on the amateur NASTAR ski runs offered at ski resorts across the country. NASTAR (which stands for NAtional STAndard Race) gives skiers the chance to compete on a slalom-style course with a starting gate and electronic timing. Owen has won eight regional NASTAR medals and went to her first NASTAR nationals in 2010. She won her first medal at nationals in 2013, a silver in giant slalom. Including that first podium finish, she has won a gold (in 2018), three silvers and two bronzes in giant slalom (in the highest Gold and Platinum divisions). She also has three golds and two silvers at nationals in slalom in the Silver and Bronze divisions. She has qualified to compete again at this year's nationals at Squaw Valley, California, starting on April 3. 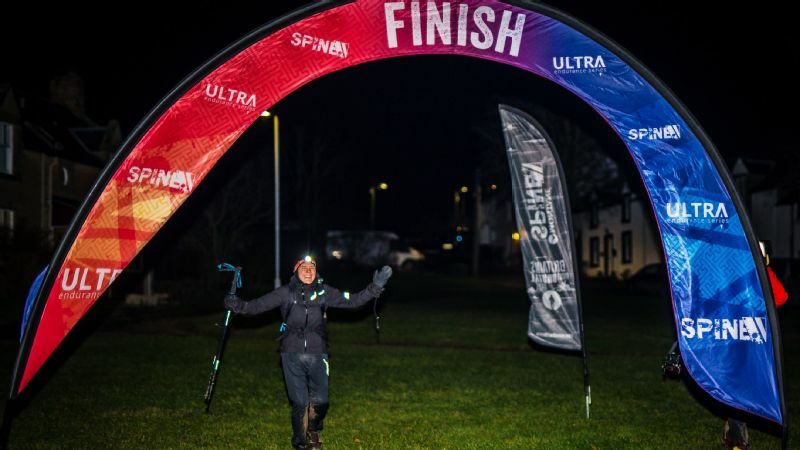 In 2014, Nancy Simpson Owen charted out how to break the NASTAR record -- then went out and did it, sometimes skiing four hours a day. The accolades didn't just happen naturally, though. Owen was disappointed by her performance at her first two NASTAR nationals, in 2010 and 2011, so she decided to take 2012 off from national competition to focus on improving. During that time, she was rigorous with her conditioning, then put in work on the slopes to fine-tune her skills. Over the years, that's been a constant: get coaching, refine her technique, improve her fitness and upgrade her equipment. When she returned to nationals in 2013, she medaled in the Gold division, the second-highest level behind Platinum. She advanced to Platinum in 2014 and has continued to medal. Her first medal at that level, a bronze, was the most rewarding, she says. After the first day of those 2014 nationals, she was in fourth place among a large, deep group of competitors. On Day 2, the best of her two runs put her into third and on the podium. "I thought, 'This is great,' " she says. "I finally get on the podium for Platinum. It was pretty cool. I know it's third place, but for me it meant the most." Owen is also a record-setter. Over the 2014-2015 ski season, she set a remarkable single-season mark by skiing 1,359 NASTAR runs, breaking the previous record of 1,002. She decided to go for the record after hearing that the 1,002-mark had just been set the previous season, by a man skiing primarily at Crystal Mountain, Michigan, only one state east. Owen, in talking with Pedro Driscoll, the race director at the Trollhaugen ski area in Wisconsin, told him, "I can break that." When ski season began, Owen plotted an aggressive plan to shatter the record. She figured out when NASTAR courses were open across resorts at Wisconsin, Minnesota and Michigan, the distances between those resorts, how much time it would take for each run (including lift time) and charted a weekends-and-nights schedule in which she could get the most runs over the shortest period of time in December and January -- because she didn't want season-shortening warm weather in February and March to derail her effort. She credits Driscoll at Trollhaugen for helping in a big way. Instead of waiting in line to race the course, she'd be ushered to the front each time. "They'd bring me to the front and they would say, 'This woman has to beat the guy over at Crystal Mountain. We're going for the record,' " she recalls. "And they'd cheer." On weekends, when Trollhaugen's NASTAR course was open for four hours, she could get in as many as 50 runs. She says some of the kids at Trollhaugen started calling her "NASTAR Nancy" and bringing her snacks and hot chocolate. Over the course of six weeks, while skiing sometimes five days a week, Owen broke the record and then tacked on more than 300 runs. "I remember living in ski boots and skis," she says. To keep herself going on those three- and four-hour series of runs, she often wore headphones and listened to music. At the end of those days, she says her main physical complaint came from spending so much time in a bent-over, forward-leaning position. But, after a long, hot shower, she'd feel great. Then, she'd get up the next day and ski some more. Owen says she loved the pursuit of the record. She laughs, too, saying she might have to do it again because eventually somebody will break it. Even if she's in her 70s or 80s, she says she's game. "If they do, I will come back," she says. "I will beat it again because that's how competitive I am." Yet while the medals are nice and she cherishes the record, she says what's most important is the opportunity to ski every chance she gets, along with her husband, Jed, also an avid NASTAR skier, whom she met at a regional championship in Minnesota. They love year-round outdoor sports together. For Owen, being outside, in nature, flying down a ski run and sharing experiences with friends is what it's all about, she says. 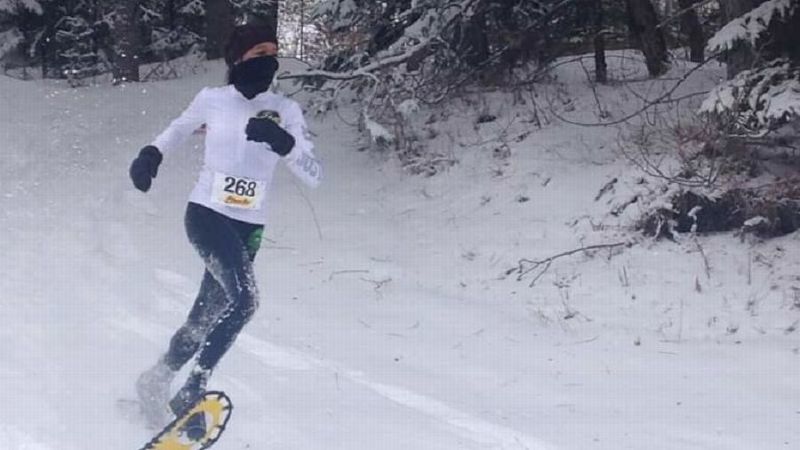 "Even today, at any NASTAR course, I'm always asking to make more runs," she says. "They'll say, 'One more run -- we're closing,' and I say, 'No, two more.' I'm always asking to make more. I just have that energy bug."